Dr. Bilal Ahmed is a radiologist who graduated the medical school from the University of Toronto Faculty of Medicine. He is now specialized in radiology and is able to use various imaging techniques in order to gather information about the human body. 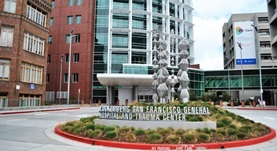 Dr. Ahmed has been in practice for more than 6 years and is currently affiliated with the San Francisco General Hospital.